Robert R. Bell represents clients on matters of complex commercial litigation and appellate law. His practice specializes in cases pertaining to director and officer liability, legal malpractice and accounting malpractice. He is also adept in the appellate process and has taken appeals to the Fourth Circuit, the Fifth Circuit, the Ninth Circuit, the Texas intermediate courts and the Texas Supreme Court. 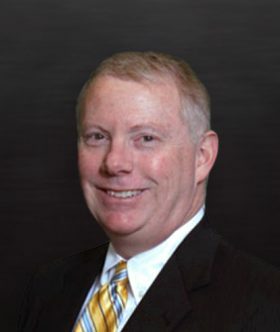 Robert has extensive experience in acting as receiver for cases involving financial and governmental entities. Robert has the know-how to offer strategic insight throughout the investigation, analysis and prosecution stages of claims involving director and officer liability, accounting malpractice and fidelity bond litigation. In another case, he represented the FDIC as receiver for the First National Bank of Keystone. After a seven-day trial, the jury returned a verdict in favor of the FDIC. This judgment was later affirmed by the United States Court of Appeals for the Fourth Circuit. Robert put his expertise in directors and officers liability to work over the course of seven years as counsel for the Trustee of the Yellowstone Club Liquidating Trust (“YCLT”) in numerous lawsuits and appeals against the Yellowstone Club’s founder, Timothy Blixseth. He later defended the judgments before the Ninth Circuit in numerous appeals. Robert has also handled cases involving both professional liability claims and fraudulent transfers, including injunctions to prevent debtors from taking actions of unauthorized asset protection. He and his firm have busted offshore trusts in the Cayman Islands. Robert received his undergraduate degree from Baylor University in 1982 and later graduated from Texas Tech School of Law with highest honors in 1993. While in law school, he took part in the law review, the Board of Barristers and state and national moot court teams.